can bring about special insurance concerns. Installing a pool, or already have one? Pools increase your liability risk so you will need to bring your homeowners policy up-to-date. Most policies include a minimum of $100,000 worth of liability protection, but pool owners may want to consider increasing the coverage amount to at least $300,000 to $500,000. Having a yard sale? Your homeowners and renter's insurance policies may provide liability protection to cover you against lawsuits if someone is injured or items are damaged on your property, but read your policy to be sure. Taking an extended vacation? Insurance companies may consider unoccupied homes as high risk because they are at increased risk of theft, vandalism, fire, and water damage. Check with your insurance company before you leave for a long trip. Hosting a party? Consumers should look into a social host liability policy, which covers claims arising from injuries that may occur in your home. Policies can be purchased for limits ranging from $50,000 to $2 million. Renting a car? Your declarations page should state whether the coverage and deductibles you have on your own car apply to a rental vehicle. If it does not, consider buying the rental car insurance coverage offered by the agency. Do you own a boat or a jet ski? If you own a personal watercraft, it is wise to purchase insurance coverage that includes bodily injury, property damage, liability and theft. 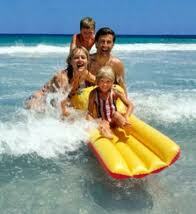 If renting any type of watercraft, be sure to ask what type of insurance coverage the owner or operator has. Some insurance coverage does travel. Traveling away from home? Depending on your location and medical condition, you will want to check with your health insurance company to find out what type of coverage you have when you travel. Be sure to carry your insurance card with you. Items stolen while on vacation? In most cases, your homeowners policy will cover your personal property anywhere in the world, less your deductible. Be sure to read your policy for dollar limits on items such as jewelry, firearms and silverware. Need to insure your trip? Some insurance companies offer bundled packages of travel insurance that cover problems like identity theft, delayed or lost baggage, cancellation or medical issues. But just like any other type of policy, be sure to review it thoroughly because not all policies are the same. If you chose to insure your trip, be sure you are purchasing travel insurance and not cancellation waivers. Waivers are not insurance and are not regulated by the Insurance Department. Visit the Pennsylvania Insurance Department online at www.insurance.state.pa.us.